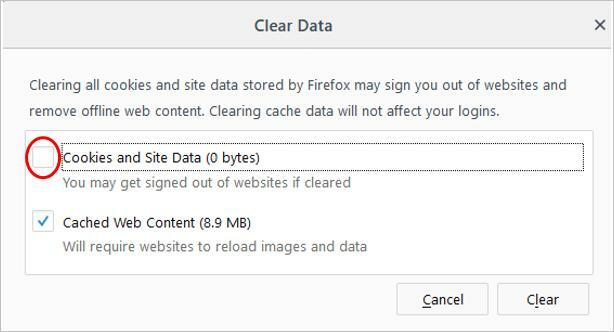 You can follow the steps below to clear cache for Firefox. 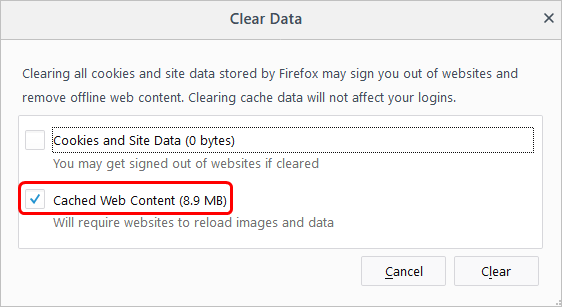 Clearing cache for Firefox sometimes is helpful to solve the web page issues. When you run into web page issues, such as incomplete images and bad formats, you may want to clear the cache. 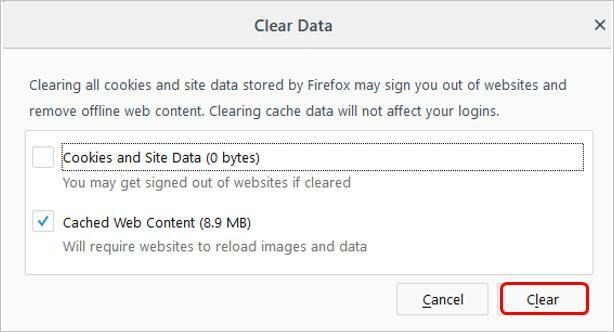 We’ll show you how to clear the cache in Firefox below. 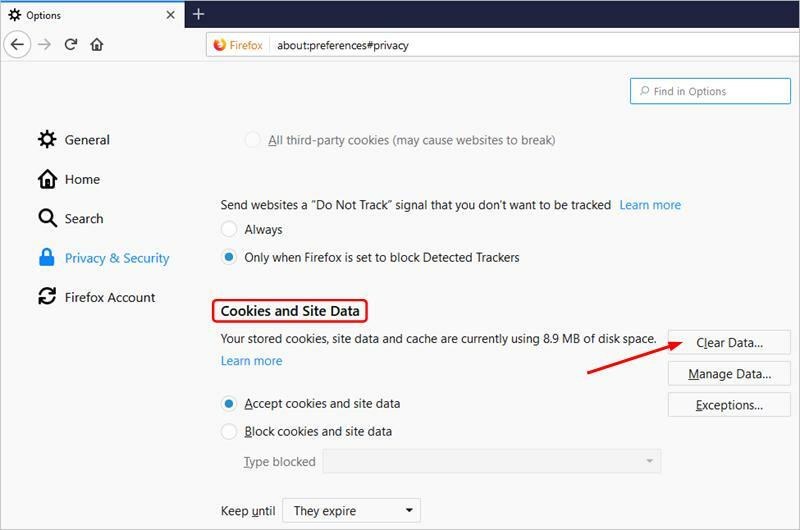 Click Privacy & Security, then click Clear Data in the Cookies and Site Data section. 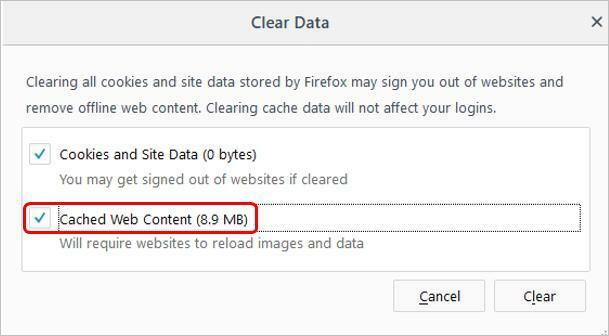 To just clear cache: check the box next to Cached Web Content, and remove the box next to Cookies and Site Data. 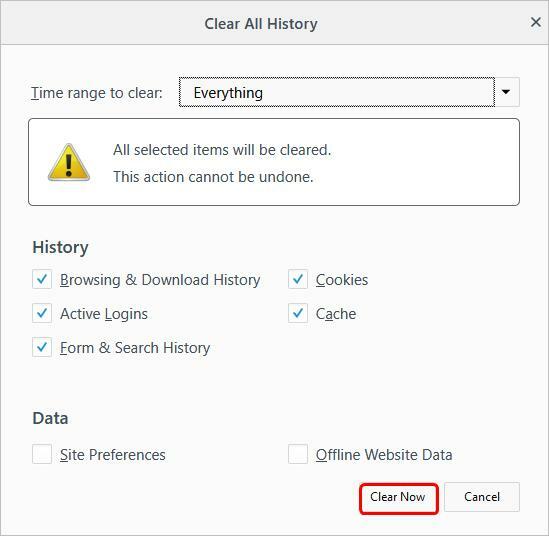 Click the Clear button, then all cache will be cleared. Click Privacy & Security in the left panel. 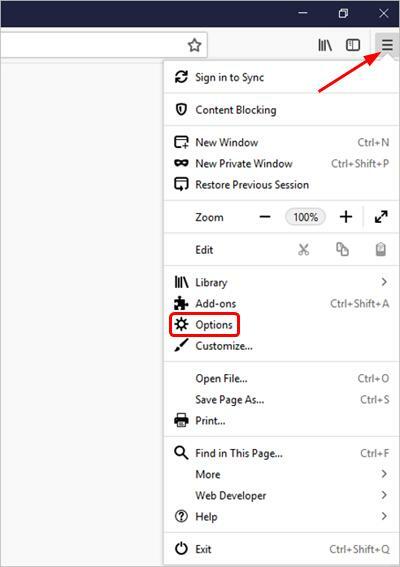 Check the box next to Cached Web Content. 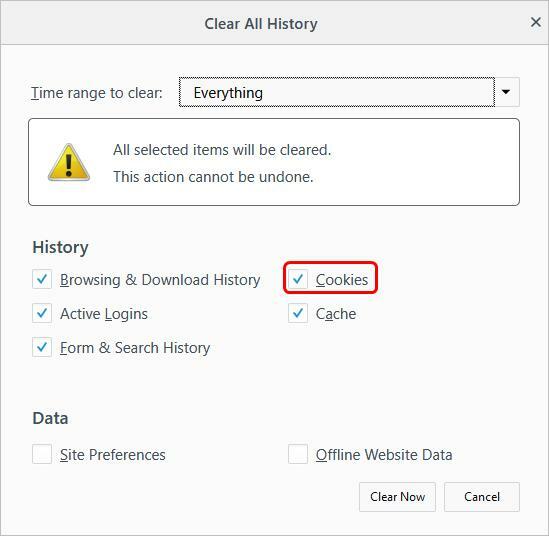 Uncheck the box next to Cookies and Site Data. Click the Clear button. Then all cache will be cleared. 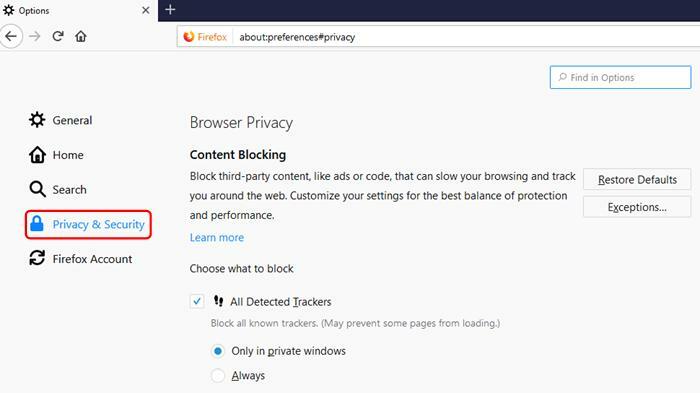 Also want to clear cookies in Firefox? 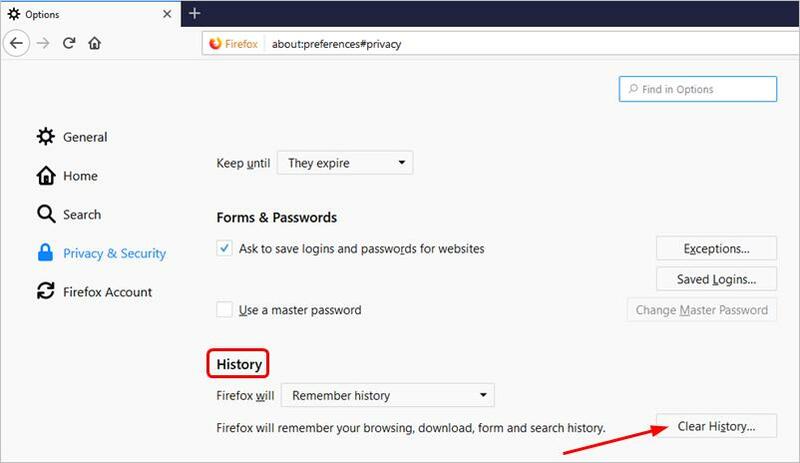 If you want to clear cookies in Firefox, you can follow these steps. 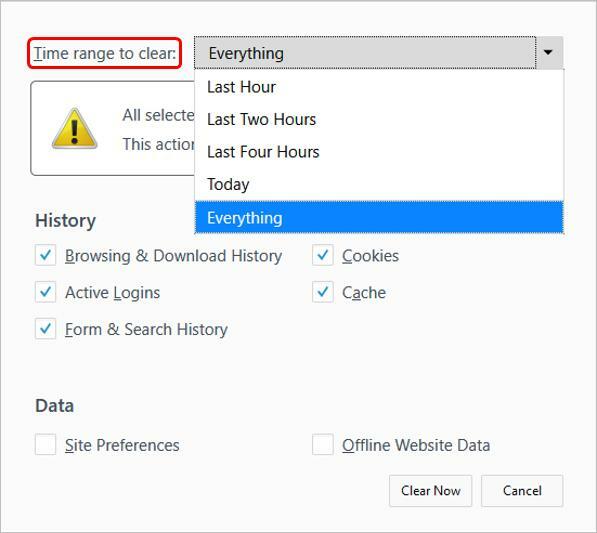 From the Time range to clear drop-down menu, select a time range; select Everything if you want to clear all data. In the History section, you can see all items are selected by default, including Cookies. If you don’t want to clear one item, you can just uncheck it. Hopefully you find this article helpful. If you have any questions, feel free to leave your comments below.